Paris is a city of museums. 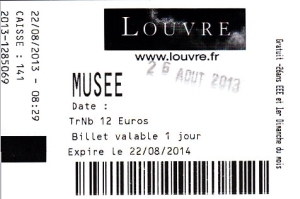 We would have needed a much longer stay to see all the major museums in Paris. Of course we could not miss the opportunity to visit the Louvre. In 1793 the Louvre Palace was transformed into a museum. It is hard to imagine a building that is 652,000 sq ft in size and filled with art work. The building was too big for our camera to take a single picture, so we had to combine three pictures in order to show the size of the building. It seemed like everyone wanted to see the Mona Lisa. The crowds were so dense around the painting that it was hard to view. We were surprised that the painting was not as big as we had imagined. It was behind thick protective glass, which hindered any photography. We thought it would be a great idea to go to the Louvre on the day it rained, but everyone in Paris had the same idea. The lines outside in the drizzling rain stretched endlessly. As we looked for the end of the line, we saw one museum marker, noting that it was an estimated 2 hour wait in line and we still had not found the end of the line. Needless to say, we decided to come back at opening time the next day. The road entrance into the Louvre courtyard had such narrow openings, that the tour buses could hardly pass through. 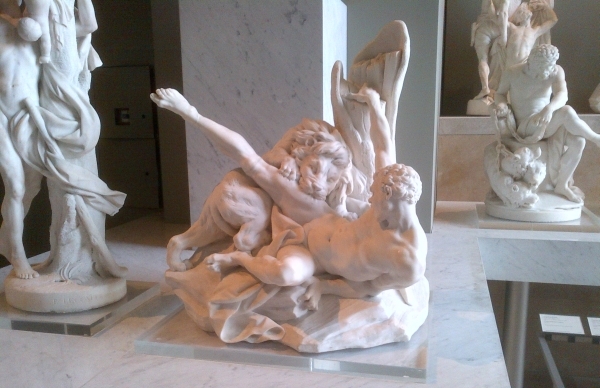 and a statue of Hercules killing a monstrous snake. 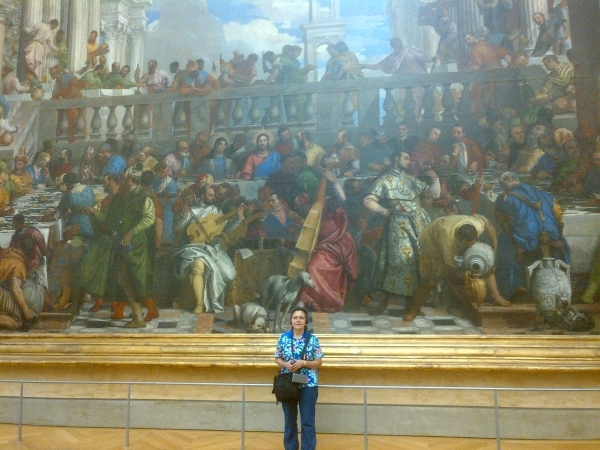 Here is Suzanna with a painting of the Last Supper. Within the Louvre were the Napoleon apartments, which were later used as dining and meeting rooms by the heads of state. During the rain storm, we chose to visit the Rodin museum and see the many paintings and sculptures, including the famous “The Thinker”. Near the Rodin Museum was the Military Museum (Musee de l’Armee). Off in the distance from the Musee de l’Armee we could see the Eiffel Tower.